Not only is HopeWest’s Artful Cup a unique place to sip coffee while supporting a good cause, it’s also an opportunity to learn about Grand Junction’s rich past. The coffee shop has opened up its historic doors as a small public museum for locals and tourists. All proceeds from Artful Cup go directly to HopeWest, a non-profit hospice care organization, furthering its mission to support families facing illness, age, and grief. While Artful Cup continues to serve great coffee and tasty treats, the experience itself has changed, according to HopeWest’s Community Relations Manager Callie Rapke. “Now you can walk through the history of the home and learn information that wasn’t available before,” she says. Situated on Twelfth Street between Patterson Road and Horizon Drive, Artful Cup stands out from more modern surroundings. Completed in 1889, just seven years after the town of Grand Junction’s incorporation, the two-story Victorian estate originated as the historic Miller Homestead. 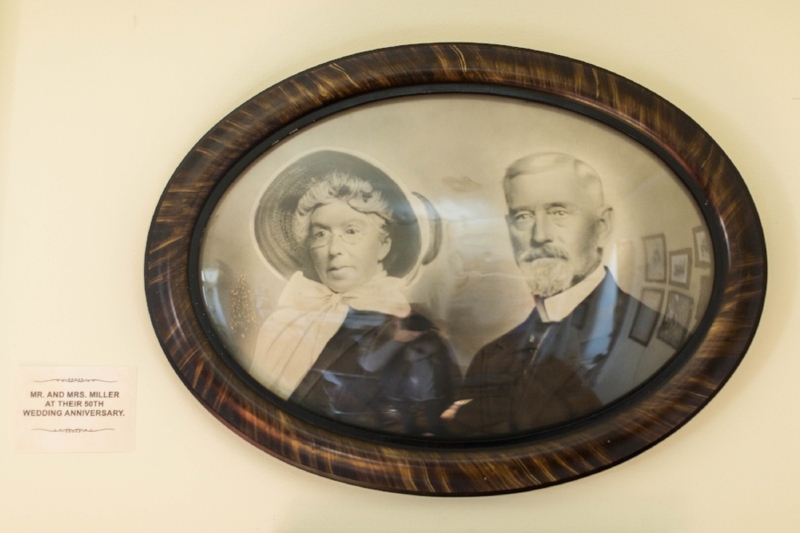 Owners Lawrence and Amelia Miller were pioneers from back east who settled in the Grand Valley in 1885 in search of free range for their thriving cattle and goat business. Mr. Miller, a successful businessman, was also active in the Grand Junction community, serving in several key positions such as mayor and alderman. At the time, most of Grand Junction’s 400-person population lived downtown, and the homestead was considered way out “in the country.” However, distance didn’t stop the town’s elite from visiting the 2,650-square-foot house, one of the finest in the valley at the time. Mrs. Miller’s famous “Tanglewood” gardens, the remnants of which still surround the property today, were also an attraction. HopeWest acquired the Miller Homestead in 2007, carefully restoring it to its former glory. Now, nearly 130 years later, the Miller home hasn’t lost its old-time charm. The recipe for Artful Cup’s atmosphere is simple, yet difficult to find these days — a combination of the quaint coziness of your grandma’s kitchen on an easy Saturday morning, and just the right amount of caffeinated hustle-bustle. Handcrafted local art and gifts accent the space and are available for purchase. The parlor doubles as a reservable conference room, as well as a showcase of historic photographs and artifacts. So the next time you find yourself needing a place to get away from it all, head for the Victorian house on the hill surrounded by terraces of flowers. Walk in, order a cup of joe, make yourself comfortable, and enjoy a taste of the past.